Attorneys of ex-FSIN director Reimer seek to lift seizure of his assets | Russian Legal Information Agency (RAPSI). MOSCOW, October 22 (RAPSI) – Attorneys of Russian Federal Penitentiary Service’s (FSIN) ex-head Alexander Reimer sentenced to 8 years in prison as part of a fraud case are seeking to lift seizure of his assets so he can be released early, RAPSI correspondent reports from the Moscow City Court. The court is considering appeals filed by the attorneys as well as FSIN against a ruling of a lower court upholding seizure of 1.7 million rubles ($26,000). According to the attorneys, these assets are required to pay the damages so Reimer can ask for early release in the future. However, a representative of the Penitentiary did not attend the court hearings and the case will be reviewed later. On August 22, the Zamoskvoretsky District Court of Moscow ruled to recover over 2.2 billion rubles ($32.5 million) from Reimer and his accomplices convicted of embezzlement. 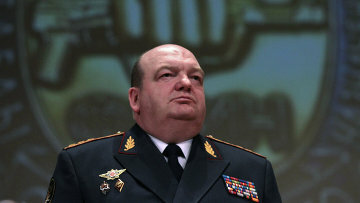 In June 2017, the court sentenced Reimer to 8 years in a penal colony for embezzling funds allocated for procurement of ankle bracelets, fined him 800,000 rubles (about $12,000), and stripped of his General rank. Convicted ex-deputy of FSIN Nikolay Krivolapov and an ex-director of FSIN’s Information and Technical Support Center Viktor Opredelyonov received 5 years and 8 months and 6 years in prison respectively. Krivolapov was fined 600,000 rubles ($9,000) while Opredelyonov got a 700,000-ruble fine ($10,300). Lawyers of the defendants asked to repeal or soften the sentences. A lawyer representing Reimer said that the Zamoskvorestsky District Court issued a ruling with numerous violations and that it did not study some of the case documents. According to investigators, Reimer, Krivolapov and Opredelyonov conspired with businessman Nikolay Martynov to embezzle monetary funds from the Russian state budget. Between 2010 and 2012, Reimer and his accomplices stole money allocated for the purchase of ankle bracelets for persons placed under house arrest. The procurement was pursued at an enormously overvalued price. Damage allegedly caused to the state budget was estimated at no less than 2.7 billion rubles ($40 million at the current exchange rate). The defendants have been charged, depending of their role, with abuse of office and embezzlement committed through abuse of office. Krivolapov was additionally charged with illegal possession of ammunition. They pleaded not guilty. A case against Martynov was reviewed separately as he fully admitted his guilt in large-scale embezzlement. The businessman cooperated with investigators and announced that he is going to compensate the government with delivery of 7,000 new ankle bracelets. Martynov is a head of “NPF Meta” company that was supplying bracelets for prison inmates.